Selene, Japan's lunar spacecraft and HD peeping Tom, keeps sending stunningly-detailed information from our crystal clear Moon to trashed Mother Earth. 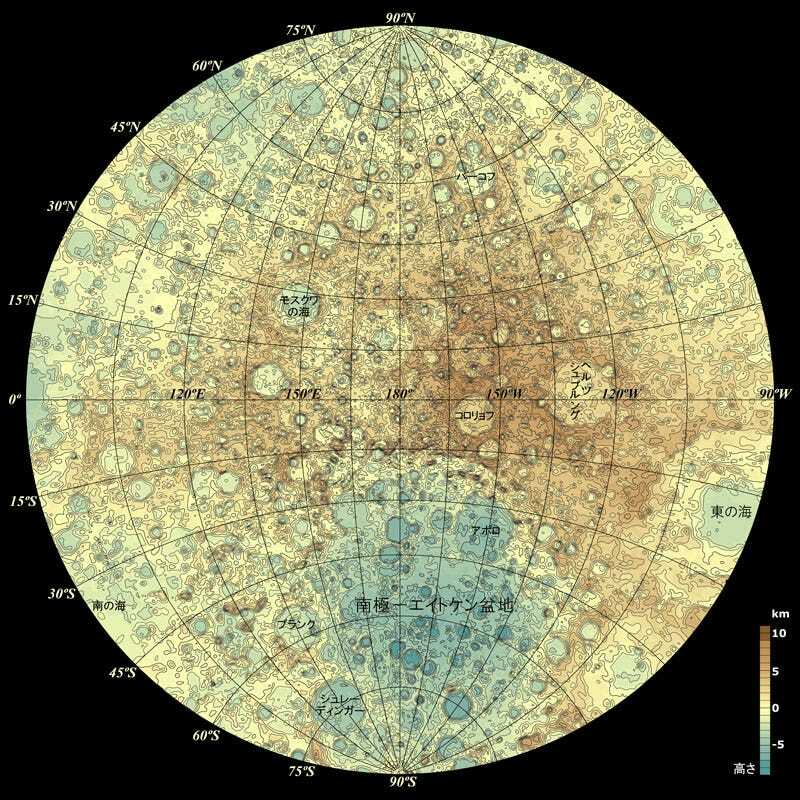 These first-ever high definition global topographic maps of the Moon were created using 1,127,392 point measurements, taken with its laser altimeter. And they are just preliminary versions. So far Selene has collected six million data points, and it keeps going on. These 3D data points are all being processed now to further enhance what already is the most detailed topographic map in the history of space exploration. JAXA—Japan's space agency—also announced that the Selene mission has gathered detailed information regarding the mineral composition of parts of the Moon's surface, including thorium, potassium, and uranium sites.